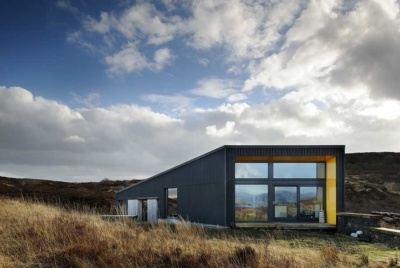 Having lived in their traditional cottage steading in rural Aberdeenshire for the best part of 12 years, Michelle and Scott Leslie knew that, with a growing family, they’d need to extend for more space so the couple approached local architect Nikki Ritchie of Stonehaven-based Hyve Architects. “We liked the practice’s contemporary approach, having seen some of their designs in the area,” says Michelle. 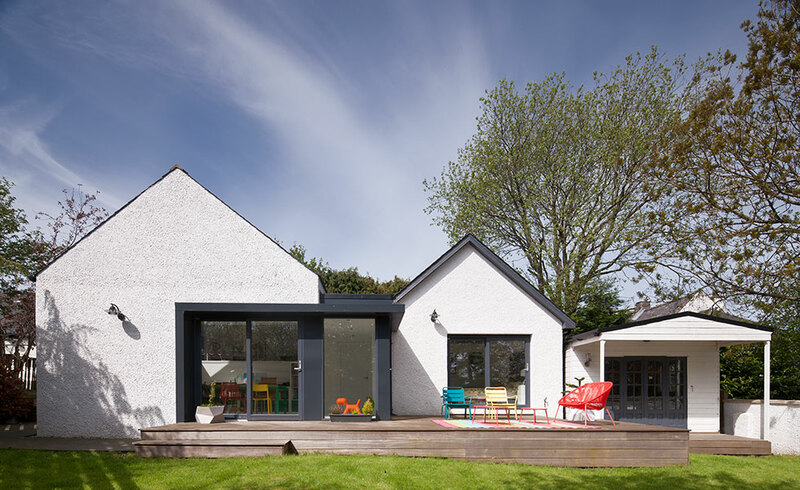 The new extension is constructed in timber frame, with high levels of insulation introduced, and has been clad in white render, with a Sarnafil membrane to the new flat roof link space. In terms of build route, the architects assisted the Leslies up to building warrant stage, then Scott and Michelle sourced a main contractor, who managed the whole build process for them. 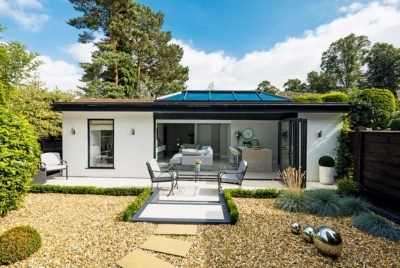 The extensively glazed extension joins the existing cottage with the new garage conversion and is designed to maximise light and views of the garden. 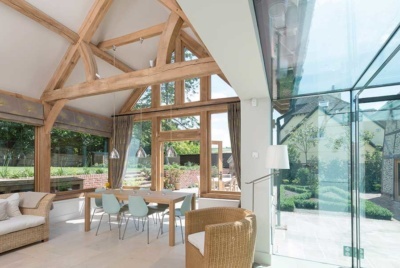 The new addition takes the original shape of the steading while the link between the extension and the garage features a flat roof to contrast with the traditional form of the existing buildings. 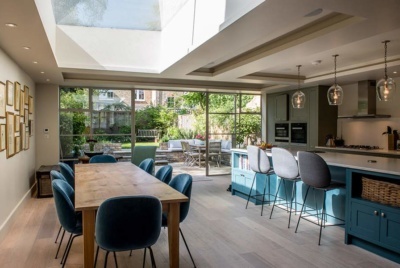 Planners were sympathetic to the design: “The former owners had planning permission for an extension to the gable end that didn’t include the garage, so we were actually doing something smaller than the original plans,” says Michelle. Following the main build, a retaining wall was built in the sloping garden and the grass was levelled out. The connection to the garden has been one of the highlights of the project for the family.